How to travel the globe comfortably with a family of 5 on a budget. 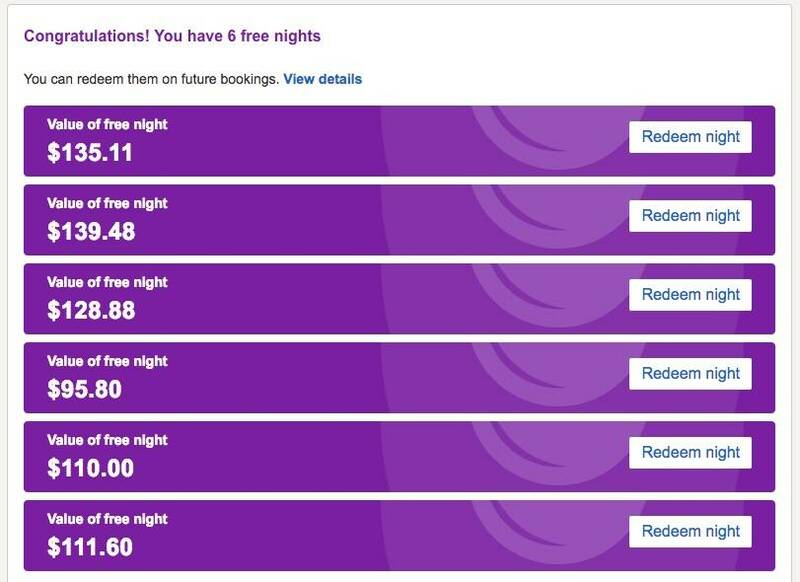 Travel Hack: Use hotels.com to book free nights at hotels! As you may have guessed we are ALWAYS on the lookout for cheaper ways to travel with a family of 5. Especially now as we need 2 rooms per night in most hotels to accommodate our family. Hotels have always been a weak travel spot for us to save money. We try to use peer to peer rentals whenever possible (airbnb.com and VRBO.com) but often when we are arriving or departing from a destination we choose to stay in a hotel near the airport to make the travel process easier. Hotels.com has a unique loyalty program that you can leverage your way to free hotels stays without having to actually stay in a hotel! An airport hotel allows us to get organized the night before the flight, the kids get a chance to sleep in a bit longer, and if you plan it right you can find a hotel with the pool to exercise the children to ensure a good night sleep. This is especially helpful preparing for longer flights both domestically and internationally. Starting a long trip with tired kids can make travel days feel extremely long and challenging. What loyalty program to choose? What makes hotels.com unique is that it is a clearing house for a plethora of hotel chains and boutique hotels, but hotels.com has its OWN loyalty program. You have likely seen their commercials on tv with captain obvious, but the rundown is simple. Stay 10 nights, get one free. They average the costs of each of the 10 nights and you get that average dollar amount against a new hotel reservation. If your “free night” reservation is more than that average you pay the difference. But that is not the unique part of this program. What makes it unique is that YOU are not required to stay in the room to get the credit on the 10 nights of reservations. You can book someone else, even pay for it with their credit card, but the credit for the stay goes to you. All that it requires is that you are signed into your account when the booking is made. How to make Hotels.com work for you! Think family, think friends, think anyone you know that travels and offer them your “services” to help them with the booking. I do this for all of my family members and have currently 6 free nights with 61 pending nights (which will garnish me 6 more free nights). Often I will help someone book their hotel room just via a quick phone call. I ask for dates and preferred location, I will then scout the offerings and give them suggestions based off reviews or my personal experience, then call them on the phone to get the pertinent details and billing info while I book their room under my account. Granted my extended family travels a lot, but you would be shocked how quickly you can rack up free nights making bookings for friends and family. Who doesn’t love some free hotels! I have found hotels.com’s booking and cancellation policies to be the most user friendly of all the travel portals I use, as they allow lots of flexibility in cancellations and changes. If you take the short amount of time to help friends and family book hotels you can expect a quick turn around in free hotel stays. Disclaimer: I am a affiliate for hotels.com, but my opinion and blog post are just that, my opinion. This is a program that I truly believe can be beneficial to family travelers If you click the hotels.com link it does route you through my affiliate page which helps the Family Frequent Flyer stay afloat, so if you appreciate the travel tips please use any of our booking links to make your reservations! Recently during a trip across the US we had the opportunity to explore the airport in Phoenix (PHX) as we ended up with a much larger layover than originally expected. 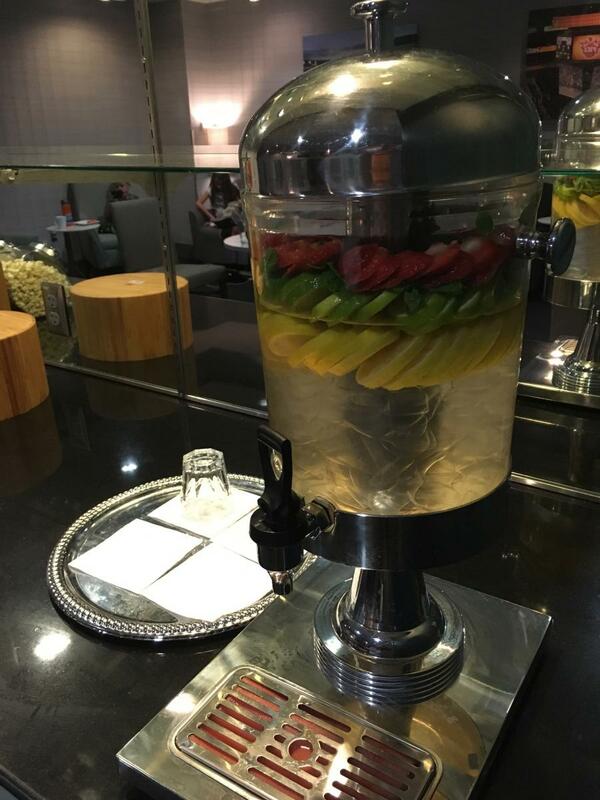 Since we typically we spend our time in the Admirals Club in PHX (as a benifit from the Citi AAdvantage Executive Card) we decided to explore a new lounge to post a review for those with out Admirals access. 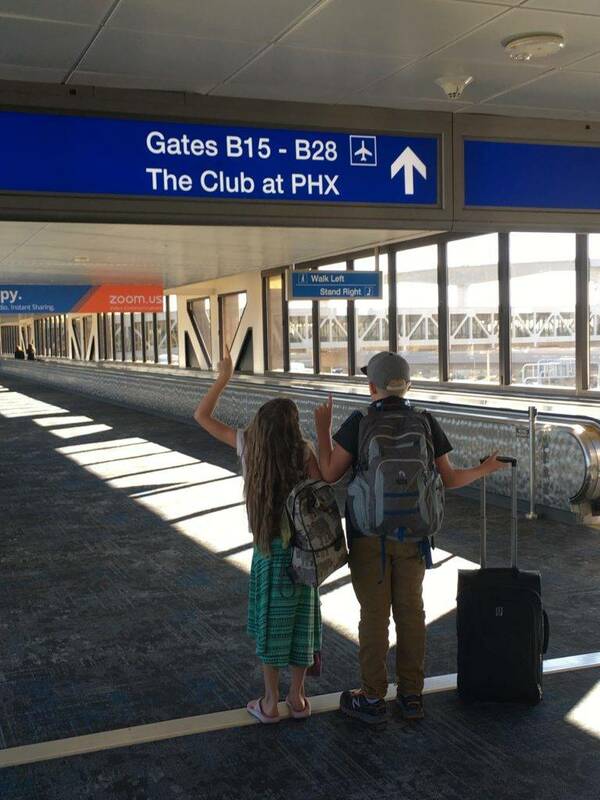 We chose The Club at PHX. If you find yourself in PHX with a Priority Pass you should head over to the end of terminal 4 and The Club at PHX. Head over to terminal 4! Size: There are two connected room areas with seating around tables as well as couches and chairs. One room has great windows with views of the tarmac and runways. The other room has no windows and subdued lighting. I would image this lounge could fill up pretty quick! We spent time from about 10am-1pm and during the lunch hour it got to about 75% capacity. We did not have much interaction with the staff but the front desk staff was friendly as we came in and the service during our stay was on par with most of the better lounges. There were attentive to clear away dishes and kept the food well stocked. Most of the seating was tables and chairs, in the smaller room there were a few couches, but I could see those filling up quite quickly. Sparse- we had to move a few times to be able to have access to an electrical outlet, of which there was only 1 working plug. N/A there was no dedicated kids space, but in the smaller room in the corners there was a few areas of open space you could let the kiddos spread out between wingback chairs. Especially if you had toddlers or babies you could lay out toddler town between the chairs. Overall it was a solid club, but to be honest if I was in PHX I would likely go to an Admirals Club instead. But if you only have access to Priority Pass lounges (via Amex Platinum or Chase Reserve) then its a great option. 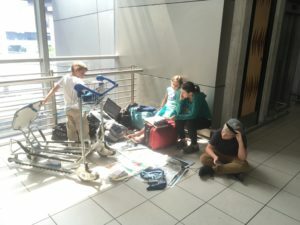 Part 2 of our Africa trip with kids report will cover how we navigate time in the airport on the trip to Africa. We will cover the flights, the lounges, and what we did to mitigate the pain of flying with kids 24,000 miles! If you missed part 1, we covered how we booked our flights, cars, and accommodations for a family of 5 for $555 per person! Looking for a primer on the basics of traveling with kids? Check out our post covering most everything you need to know! As you read in part one we had a somewhat indirect flight out to JNB. I was excited to try Qatar Airways but it was a lot of 8-9 hour flights in a row. The first three legs were serviced by American Airline and the last two by Qatar. The checking with the AA desk was easy as we managed to pack everything in 2 roller board carry on bags thus needed to check no luggage much to the surprise of our check in agent. After confirming our paperwork (to travel to South Africa with minors you are required to have original birth certificates with the traveling parents names) we were off on the quickest and easiest way to get to DFW. Its a very easy 3-4 hour flight and we were able to snag Main Cabin Extra seats as a perk of my Platinum Status with AA. Standard service from American which we have found to be great! One of our favorite clubs is the Centurion Lounge by Amex in DFW. Access is by our American Express Platinum card. Until recently one card could get access for an entire family to the club, but since that has changed to the card member plus up to 2 guests. As we are a family of 5 our solution was to add my wife as an authorized user (which costs $175 for up to 3 additional card members per year) which then allowed our entire family access to the lounge. The lounge itself is great for kids- it has a specific kids room which is fully equipped with toys for younger kids and a Xbox 360 for the bigger ones. The food offerings are top notch with a wonderful spread of real food setup in buffet form. There are also shower stalls and free 15 minute massages (my wife’s favorite amenity). I typically fly through other airports into Europe so this was my first time taking the flight through LHR. The flight itself was uneventful and again the Main Cabin Extra seats provided a bit extra comfort! The costs for these seats if you do not have any status on most airlines is $75-$150 but depending on the length of the flight can be worth the extra expense. Since our kids are a bit older and can sit by themselves we find a row of the Main Cabin Extra with a row of regular seats behind. We put the parents in the Main Cabin Extra seats and the kids the row behind in the free seats since for them space is not quite as important. When you arrive at LHR each terminal is a bus ride away. So unless you next flight is in the same terminal as where you arrived you will be taking some sort of shuttle to get to your departure terminal. Since we were changing from American Airlines to Qatar we ended up on a 20 minute bus ride to terminal 4 where we checked out the Plaza Premium Lounge. There was plenty of seating when we were there. It from the layout it seemed like there would be lots of room for a crowd and the showers were clean and spacious. There was limited shampoo but plenty of hot water. The culinary offerings were ethnic with a lot of curries, rice and cream of something, but the quality of the food was great and the kiddos were happy to eat chicken and rice so we were good for the 6 hours. There was plenty of room for sitting and the furniture was quite comfortable. We found it to be very quiet and tranquil. There were no kids rooms or anything tailored for the kiddos but the wifi was fast enough for Netflix and naps. Access to the lounge was through our Priority Pass cards which is a benefit of our American Express Platinum card. Like other clubs you can only get the card holder plus 2 guests on each membership card, but when you get an additional card holder on the Amex Platinum you also get additional Priority Pass membership. This was our first leg on Qatar Air. Boarding was typical, and we got settled into our seats. The seats themselves were quite comfortable with a large touch screen in the seat-back. The flight attendants were extremely friendly and we settled into the flight. The dinner service was good I would rate it as a step above most other carriers. I had curry chicken which tasted very good and the bread that came with the meal was warm! My favorite part about Qatar flight was the screen entertainment. Qatar had edited all of the screen offerings and there was nary a curse word to be heard on any of the movies I watched. I checked in on quite a few movies and I believe they had edited them all. It was great for the kids because they got to watch a few movies I would not of otherwise let them watch based on the fact it was edited. I know for many its annoying for things to be bleeped out, but when you travel with kids it can be a huge relief! We had a pretty short layover in Doha and were unable to take advantage of any lounge access, but there was a lounge with access from our Priority Pass card. By this point in our trip everyone was pretty tired. Two 8+ hour flights in a row had us all fighting to keep our eyes open. I don’t think a single on of us turned on a screen or abided in any meal or drink service. We were out to the world! We flew from JNB-DUR and back to visit the oceanside town of Scottsburgh. The flights were on British Airways provided by ComAir. In both directions we found the service to be great. It was a quick flight so service was only provided on our outbound flight, which consisted of a drink and a scone (which was not very fresh but edible). We arrived early at the airport planning to feed the kids breakfast at the airport but were pleasantly surprised to find that there was in fact a club in Johannesburg. It was called the Bidvest Premium club and it quickly became one of our favorite clubs to date. The food was plentiful with lots of tasty options. Roasted beef, croissant sandwiches, pastries, fruit, yogurt, they had a great, diverse spread. While it was not very spacious it was very quiet when we were there. I image there was only seating for about 50 people so I assume it can get pretty full. No specific rooms or anything special for the kids but the food offerings were basic and the kids loved it. Access came again from our Priority Pass card from the Amex Platinum. 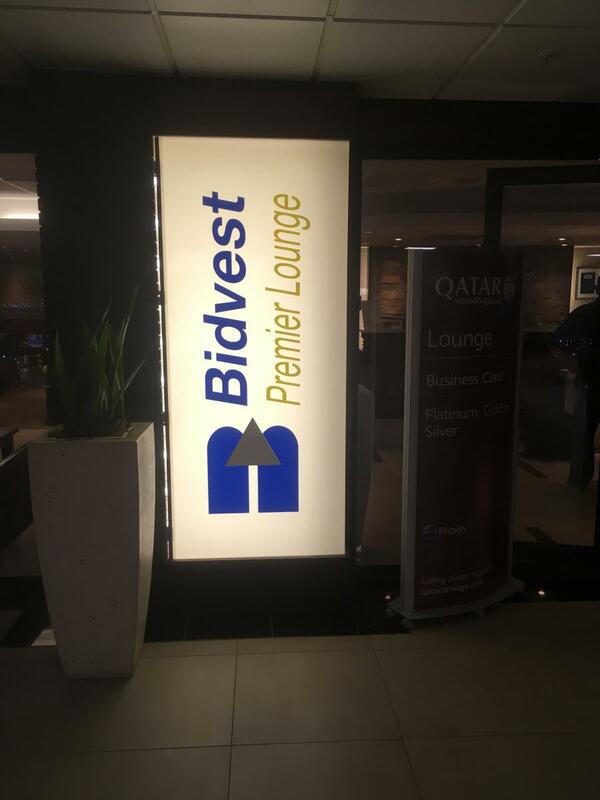 Again we were shocked to find another Bidvest Lounge in Durban that we stopped in on our way back to JNB. The food offerings were the same as the other Bidvest Lounge but what impressed me was the power outlets. There was power everywhere and even more impressive was that they had not just South African plugs, but also European, and North American. Inside security up three floors to the right! What happens when you show up 2 hours before the check in desk opens? School! We were sad to be leaving South Africa but alas all great things must come to an end. We arrived pretty early to the airport as we had to drive from Kruger Park and I gave us 6 hours of extra time in case of traffic. Luckily there was no traffic, unluckily we got there 2 hours before the check in desk opened. We had to check a bag since we had purchased some wine and could not carry it on. So we found a quiet nook in the airport and got a bit of school work done. After 1.5 hours of school we headed back to the check in desk. We were first in line and quickly got checked in, through security, then immigration, and we were set! 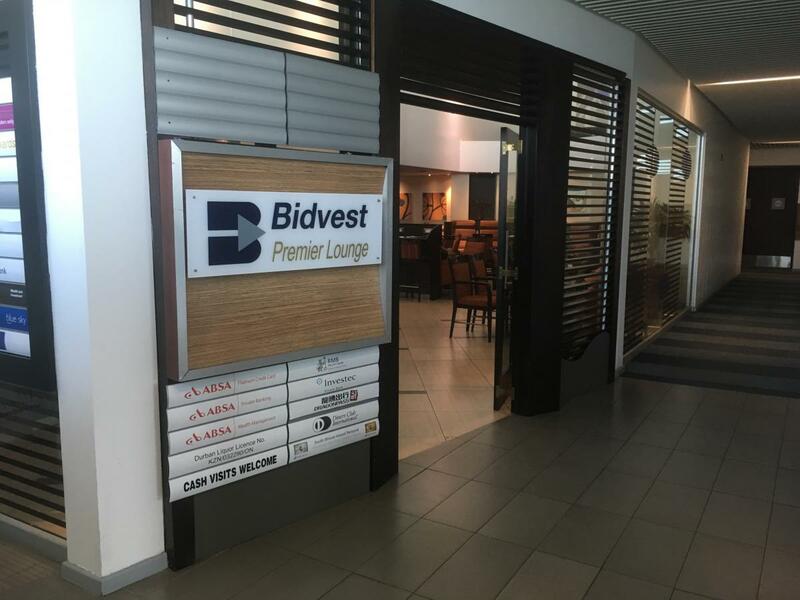 We started out in another Bidvest Premium Lounge which had an even more varied food options then before as this was the first time we had been in the lounge around dinner time. The same quality of food and drinks were found in this lounge at it was quite spacious. There was PLENTY of room, but there were no kid specific areas. Access was provided by our Priority Pass cards. With an abundance of time we opted to head out early and check out another lounge before boarding. The Shongololo Lounge proved to be, like its name, a quirky funky layout lounge. While we were there it was PACKED and unlike the Bidvest lounge there was not space anywhere. After standing around for 10 minutes a few seats opened up and we were able to settle in. The food offerings were also quite quirky with supermarket sushi sitting right next to macaroni and cheese servings as well as pre-made sandwiches tasting very much like gas station fare. For us the Shangololo lounge is a hard pass, there are way better lounge options in JNB that have better space, better food, and less people. Access was provided by our Priority Pass cards. 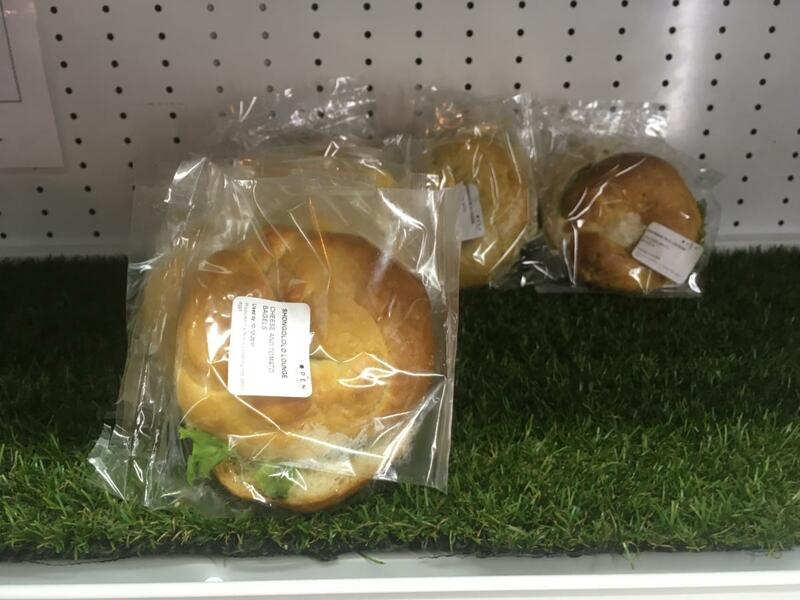 We call them gas station sandwiches; premade, prepackaged. After using my schedule change rerouting hack our flights were much better. What do you do with yourself and your kids for a 17 hour flight??! That is the question we asked ourselves as we settle into the long haul home. We were split up a bit with our 11 year old son sitting alone, my wife with our daughter and our youngest son sitting with me a few rows ahead. This was my first experience with Delta on a long haul flight and I was not very impressed. During the haul home the flight attendants were quite short tempered with the kids and seem more interested in clearing as quickly as possible rather than customer service. We are pretty strict with the kids to make sure they are attentive to the flight attendants (no headphones or screens on during food or drink service) but by the time the cart got to us there was only one food option which was unceremoniously plopped down in front of us before they moved on. I realize that flight attendants have an incredibly challenging job and I do not envy them, but we have taken trips of similar length before on other airlines and the quality of service has been night and day. 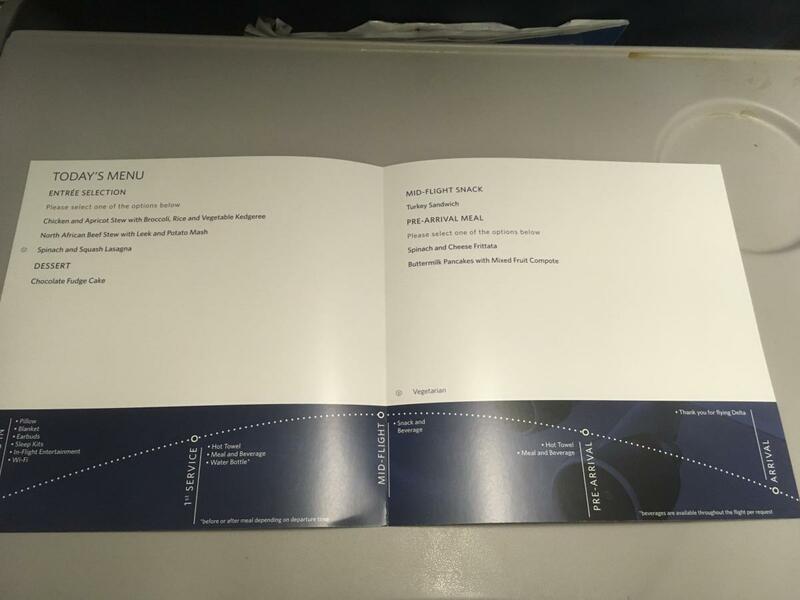 As this was our first experience with Delta on long haul flights I can not speak to this being an isolated quality of service, but I do know we will try to avoid Delta in the future. A menu in coach? We felt classy! After we arrived in ATL we had very short layovers and were unable to take advantage of any more lounge access and had an unremarkable completion of our journey home. The only thing of note was how great the rest of the Delta crew was on the regional flights. We flew from ATL to SLC then to BOI and all the crews were friendly, attentive, and patient. 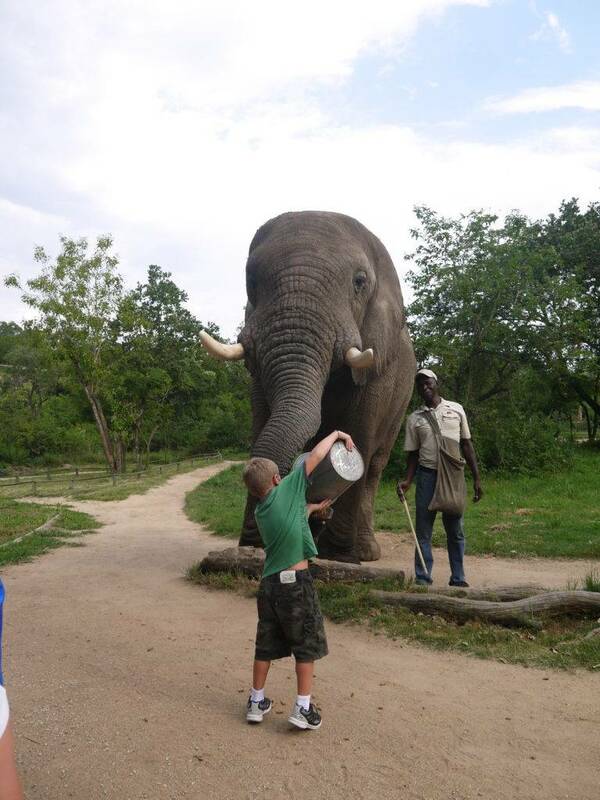 Look out for Part 3 coming out soon with the low down on what the heck to do with kids in South Africa! Welcome to Family Frequent Flyer! Our goal in this blog is to share some tips, tricks, and travel ideas that can be done with a family on a budget. 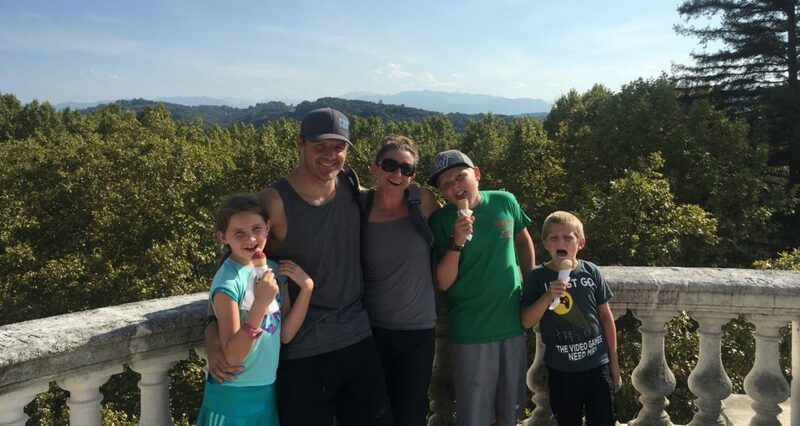 We have managed to travel to 6 continents a dozen countries with our family of five with 3 kids (aged 7-11) all on a budget by leveraging frequent flyer miles, credit card bonuses and being a “travel nerd”. We hope to share with you all of these things and our love of travel that many people seem to avoid with younger children. We are proof that you can travel across the country with a family on a reasonable budget and if your willing to do the work for free! We were able to spend an amazing 10 days in and around the area of Pau, France! Travel Hack: there really is a free lunch with Priority Pass!